For our three and four-year olds we have ‘Bubbles’. They have their own small area in the back right hand corner of the church. 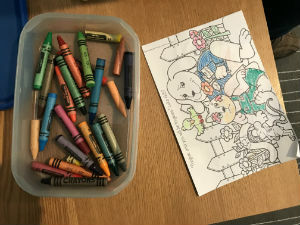 They start in the service with colouring at their own small table. During the talk they then go out for a story and to begin their activity. 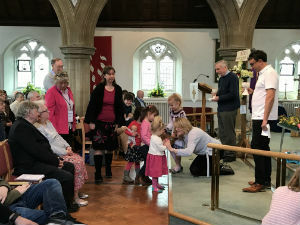 They then come back into church to complete their activity.